Hannibal, aka “Ridley Scott, David Mamet and Steven Zaillian make a stinker.” Drawing on the original characters and ideas of Silence of the Lambs, this sequel makes a paper mache mockery of the original, turning stellar characters into shallow caricatures of themselves, and in so doing, forgets to provide an adequate story. Plot is weak, advancing little over the second act from frivolous scenes of fan service and obvious filler. The film has to go out of his way to inject horror into this non-story, and does so in a way that seems almost amateurish and outdated. Worst of all? It’s BORING. The main characters spend most of the film pining away for each other and very little else. Emphasizing the Hannibal-Starling love story serves as a through-line for the film, but is not strong enough on its own to carry the story, and ends up feeling repetitive and tired. Lack of dimensions in the characters exacerbate the issue. Agent Starling has very little to do with the film except as an opener and an agent in the closing sequence of the film. Julianne Moore handles her role well considering the cardboard she was given to act with. The writers attempt to portray Hannibal with the elegance and sophisticated depth found Silence of the Lambs but fail to do more than put up a poor façade sorely lacking in both content and depth, although Anthony Hopkins’s voice and some large words try to obscure the fact. With his complexity grossly reduced, the audience is left with a weak story and artificial horror. In short, Hannibal lacks the artistic vision and execution of the original, making it just another slapdash horror movie. Unless you’re a fan of the genre…don’t waste your time. Check out Red Dragon instead. The Shadow of the Torturer is a science fantasy novel written by Gene Wolfe. A favorite among fantasy fans for decades and the first in the series The Book of the New Sun, it is usually forgotten in lieu of its later descendants…and for good reason. Shadow’s only saving grace is its highly literary writing style which is polished and masterfully executed. However, that is the only good thing to be said about this book. This reviewer can’t help but wond er how many people were blinded into thinking this book belongs on the shelf of greatness due to its excellent writing style and not for its merits of storytelling, of which mastery is entirely absent. In fact, the technical elements of the story are so poorly handled that it feels written by a first time amateur who doesn’t know what he is doing. The Shadow of the Torturer starts with the idea that an insular guild of torturers produce sheltered individuals who do poorly when dealing with reality and the outside world. But that’s as far as the story goes with it. From there, the plot devolves into a masturbatory wandering through a directionless plot that has little to do with the story’s setup. Its gimmicky ending cuts the story off mid-action without ever deciding what the story is going to be about or without any type of conclusion. The only connective tissue between the first and second parts of the story is a long-winded setup for the explosive mess that follows it. Exposition is delivered in an unskilled, forced manner. World-building lore and history rarely pertains to the plot or the events at hand. At one point the main character asks his companion if she would like to hear a story and she turns him down, so he TELLS IT ANYWAY. OUT LOUD. TO HIMSELF. The world in which the story is set is simple, inorganic and incomplete to the point that it is difficult to get a grasp on its sociological elements. Its neatly containered societies are too neat and easy, the cultures being completely non-present in day-to-day life. The author introduces new concepts seemingly to just introduce them. Rarely do these concepts become relevant to the story and even more rarely do their setups have any payoffs. Although several thematic elements establish themselves early—presumably for a thoughtful exploration later on— no such examination ever takes place. Even the title, The Shadow of the Torturer, promises a wealth of thematic material as a central spine but fails to deliver in any form. What passes for characters in Shadow are more akin to two-dimensional sheets of gray paper than actual living, breathing beings. Their complete lack of depth or imagination can be seen in the way they react like vague clichés of characters borrowed from the 1940s pulp era. And while several characters are presented with interesting setups, none of their story arcs ever deliver a meaningful payoff. The main character is the only exception to the rule. His inner emotional life is visceral and effective, and certain details of his person add interesting dimensions to his character, such as his perfect memory. But ultimately even these facets of his character serve no purpose in advancing or enriching the story. The protagonist lacks a strong motivation or drive to seek his goal. He spends most of his time falling into the company of characters unrelated to the main through-line and letting them direct him from one pointless task to another, consuming nearly two-thirds of the book in nonsense shenanigans and depriving the reader of a more substantial experience. Finally, most (if not all) of the inter-character relationships play out to like juvenile wish fulfillment subplots of the protagonist, and not relationships of believability or value. Granted, The Shadow of the Torturer is the first book in a cycle of four, all of which were written and completed before Shadow was published, so many of the issues that arise in the first book are likely (read: hopefully) addressed in others. In fact, the vast majority of the fanatical acclaim associated Shadow groups it with other books from the series and not as a standalone. However, being part of an award-winning series does not excuse the story from lacking the basic ability to stand on its own. The Shadow of the Torturer has received much praise over the years. 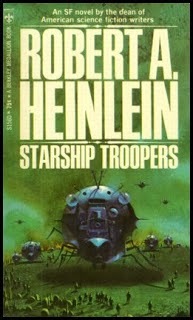 It is sad to think that such a poorly-crafted novel has been so lauded, as if the genres of fantasy, science fantasy and speculative fiction were so sorely lacking for quality content that Shadow stands above the rest as a mark of excellence. It is also interesting to note that while the book is worshiped as sacred and sacrosanct, seldom do adherents actually say WHAT is so good about it, probably because evidence is remarkably scant. An interesting read for the curious mind and perhaps of significant importance to those willing to read the entire series, but for this reader the experience was nothing less than infuriating. Red State (2011) is Kevin Smith’s first and only derivation from his View Akewniverse, and probably for good reason. Smith skillfully creates an authentic world filled with realism in violence and characters devoid of true white hats while successfully avoiding the heavy rambling dialogue of his prior work. And while the atmosphere, acting and mise-en-scene are superbly imparted, the film ultimately suffers as a soaking mess in terms of plot and structure. Fascinating characters are the heart and soul of Red State. Smith seamlessly shifts the focus between central cast members without disrupting the plot. Minimal effort is required to reveal the rich inner lives of the characters (which is to be expected, given his prior work), even though there are “few redeeming characters” (filmmaker’s words). Smith’s use of unknown actors lends gravity to the authenticity of the film, but this decision is a double-edged sword, making the introduction of famous actor John Goodman halfway through the film jarringly intrusive. Had his character been introduced at the 17 or 30 minute mark (or even as the protagonist) this could have been averted. While Goodman’s performance proved to be one of the least interesting in the whole film, actor Michael Parks portrays his character with absolute brilliance. His performance is perfectly and fully realized, charismatic, and utterly entrancing, the true gem of the film. In the end, this reviewer felt that the film should have been about the cult, not the outside interlopers. More material was to be gained by doing so and would provide the audience greater understanding of each faction in the film. As it is, even the title “Red State“is an ungainly play at immature political commentary. 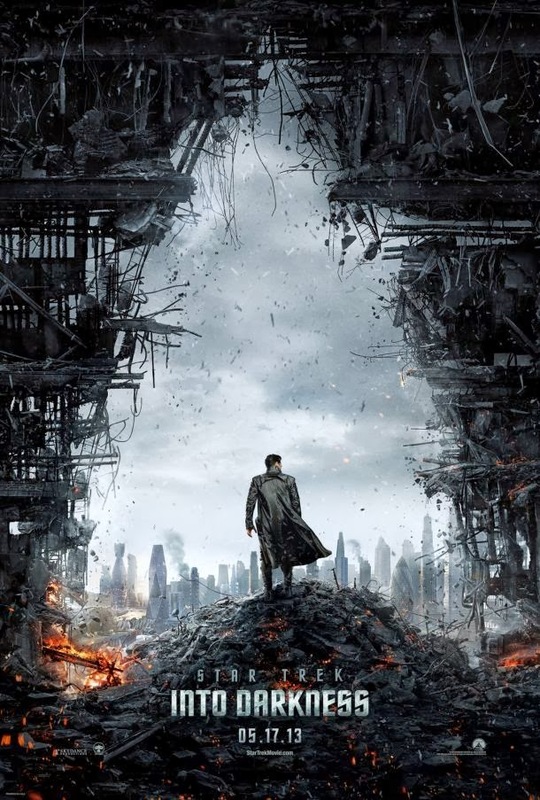 J.J. Abrams’s long anticipated sequel Star Trek: Into Darkness outdoes its predecessor in action, intensity and spectacle. Despite a running time of 2:12 (132 min) the film feels a little too short to play out the struggle between the protagonists and the main antagonist, played by Benedict Cumberbatch. The saturation of fan service and cross-references to other events in the Star Trek universe is an unending treat for fans of the franchise but at times detrimental, especially when it results in lines of hokey dialogue. A simple substitution of one of the film’s mindless action scenes for a short sequence to deepen character and theme development would have greatly benefited Into Darkness. The first Star Trek took us with surprise by the acting intensity portrayed by its young cast. Into Darkness retains the same cast but fails to carry over the compelling emotional punch from its prequel. Part of this failure results from the from the disappointing script characterization of several cast members, namely Kirk, Spock, and Uhura. Benedict Cumberbatch proves the exception to this rule in his portrayal of the notorious Khan. The biggest issue in Into Darkness is with the main antagonist, Khan. As one of the most intelligent and complex characters in the Star Trek Universe, more story and screen time oriented toward exploring the character’s intricacies is required in order for his personal journey to feel complete by the conclusion of his story arc. Instead of actually exploring the character, the story turns him into a 1-dimensional foe with no further development beyond the mid-point—a sad misappropriation of story potential. Much more could have been made of his shifting ally/enemy role as well but the film took the easy way out with his character, thereby losing both strength and depth as a result. One of the most exciting films of the 2010s.